Recently, some gym owners have dropped their CrossFit affiliation and evolved into different facilities. Part of the reason for their transition is that CrossFit has strayed from its early open-source model and failed to adapt to newer ways of thinking. While the allure of the CrossFit Games still attracts new members into boxes each year, CrossFit’s continued success depends on adapting to an ever-changing market. Here, we will examine two long-time affiliates that have given up their CrossFit affiliation. These two case studies might provide evidence on how CrossFit can adapt to a changing fitness landscape before more affiliates jump ship. As the CrossFit brand has become more rigid, affiliates are evolving past them and leaving. 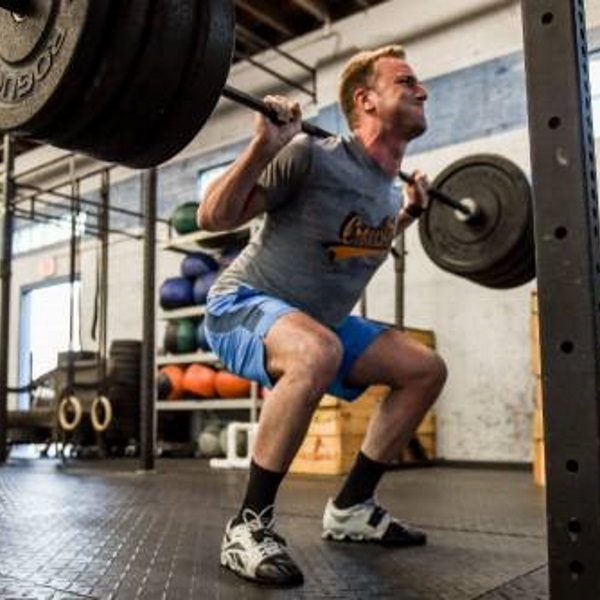 Will CrossFit, Inc. adapt or be left behind? When ATP Performance was CrossFit ATP, the owners constantly struggled with athletes who came in with the goal of lifting as much weight as possible. They believed that movement quality was key and felt stuck between keeping their CrossFit athletes happy and following their beliefs. They chose to follow their beliefs, change their gym format, and give up their CrossFit affiliation. The owners lost about a third of their membership during the initial change, but they also gained new members. Current athletes report feeling as if the change has emphasized health and performance, rather than how much weight is on the bar. Today, new athletes spend a great deal of time building correct movement patterns before adding weight. This follows Gray Cook’s directive, “do not add strength to dysfunction.” ATP also offers jiu jitsu and StrongFirst kettlebell classes, so members have choices on how to improve their fitness. Like ATP Performance, Move Functional Fitness was one of the first affiliates in their area and had a thriving membership. The owners did not change models for business reasons, but because of their beliefs. Gyms are leaving CrossFit. One explanation for this is that CrossFit has left their roots of being open-source and stopped listening to the affiliates in evolving the brand. Open-source is a software development concept, referring to code that is open and available for anyone to edit and redistribute. Open-source software allows for many individuals to add ideas to a project in a collaborative manner. One of my first exposures to CrossFit came from a 2005 article comparing CrossFit to open-source computing. As a researcher, I liked the idea of a program changing based on feedback from the system. The open-source model relies on the system disseminating the product to the community and adapting based on feedback from the community. How does CrossFit do in relation to these two goals? In 2005, Brian Mulvaney wrote, “The feedback loop between developer and user is essential for the viability of any product.” This is where CrossFit is falling short. A fine line exists between defending a brand, and utilizing feedback for improving the brand. Incorporating feedback from the community is vital to building a better and safer product, and CrossFit has a long history of fighting that feedback, rather than using it. Mulvaney also wrote, “Engineering that does not get tested in the real world—especially against competing approaches—is rarely of high quality.” I would like to see CrossFit open up to a discussion on how we can reduce injury (every sport has it), how to improve fitness, and how to compare its system to others in an attempt to improve. As it was in the early days, there are many great ideas that can be borrowed from other fitness programs that could improve the lives and health of its community. CrossFit’s journey is much like that of technology giant, Microsoft. As a developing company, Microsoft borrowed many ideas from its competitors. They back engineered DOS, created Windows based on inspiration from the Mac operating system, and bought out competitors to add to their products. In its heyday, Microsoft was a near monopoly in business computing. But their development languished and eventually fell behind upstarts that were more innovative and responsive to customer’s wishes. Similarly, CrossFit brought together many great ideas from gymnastics, powerlifting, Olympic lifting, and kettlebells to create an all-encompassing and exciting new product. Today, CrossFit is at the same stage Microsoft was when their authority began to wane. CrossFit has built an international fitness empire, supported by one of the best marketing tools, the CrossFit Games. But in pouring so many resources on developing and promoting the Games, they have lost responsiveness to their customers (athletes and gym owners). To protect their enormous investment in their current model, they have closed off the feedback loop. It is much easier to take criticism and modify a beta product than something that has years of code built around it. CrossFit as a brand has a huge amount of capital invested in their current product, and thus fear they have a lot to lose by changing it. Last week, Microsoft announced that it was adding bash script commands to Windows. This announcement signaled the company’s intent to make their software available to open-source developers. Microsoft has made similar moves in the past few years in an effort to stem its losses in market share. They opened beta product testing programs to get more user feedback. They started listening to customers again. They have belatedly realized that the more the community is involved in developing its software, the more the company benefits by making the best possible product. At some point, CrossFit will have to make a similar decision to adapt and evolve. When a company is as successful as CrossFit, it is difficult to take in feedback and make changes. It is much easier to run it as it has been run. But if their success is to continue, CrossFit will need to look to the community for ideas as it once did in the past. Does CrossFit still follow the open-source model? Leave your thoughts in the comments below.